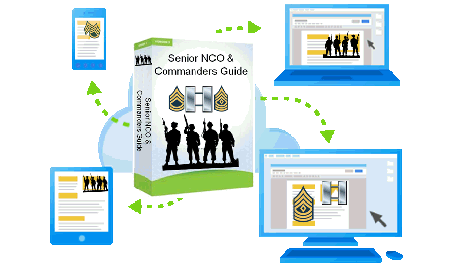 The Senior NCO Guide is a helpful tool that leaders can use to quickly reference regulations when making decisions. Each subject covered by this guide contains a short explanation and reference documents in order to highlight a DA Regulation, where to go for additional information, and outlines basic commander responsibilities. Copyright Army NCO Guides. All Rights Reserved. powered by 3DCart eCommerce Shop.